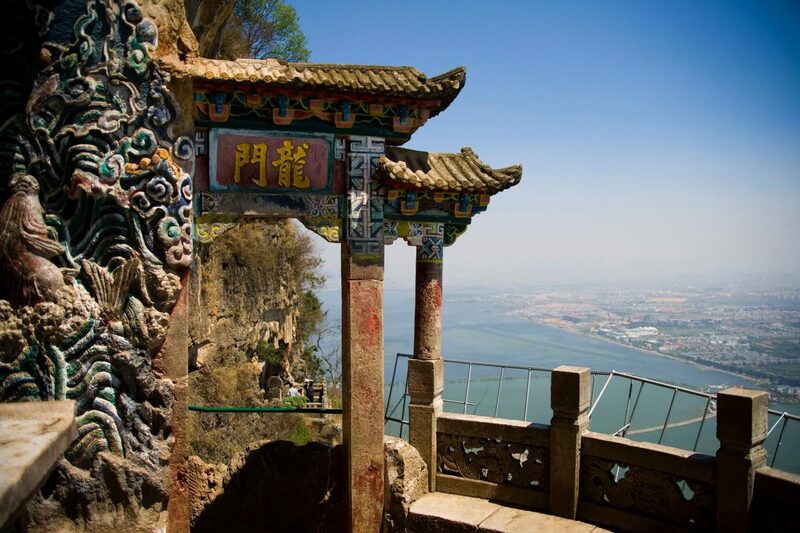 Fly to Kunming, the capital city of Yunnan Province, where some of the most comfortable weather in China can be found. Upon arrival at Kunming, the guide will greet you at the airport and then transfer you to hotel. Kunming, the capital city of Yunnan, enjoys the reputation of the “City of Eternal Spring”. 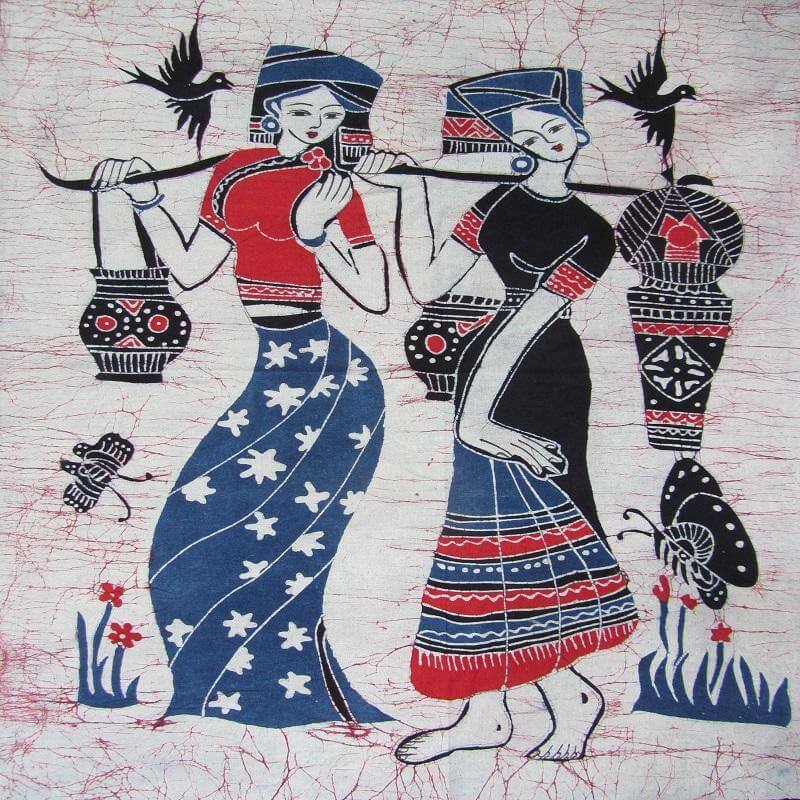 If time permits, the guide will take you on a stroll around the Flower and Birds Market, where you can not only enjoy the flowers and birds, but also see traditional Chinese arts, China knots, wooden sculptures, and much more. Today you’ll enjoy a full day tour of the Stone Forest, one of China’s most unique natural phenomena. 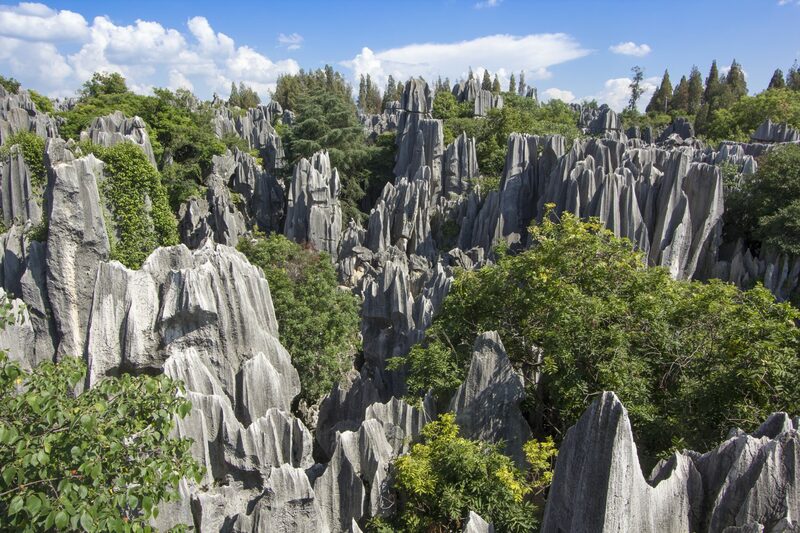 The Stone Forest features towering peaks of limestone in very bizarre shapes. Some of them are as tall as a 6-story building, and the entire area is over 200 acres. A long path (about 1.2 miles) winds through the deepest parts of the forest where you can spot caves, pavilions, and ponds – many of which have their own associated legends. After breakfast, we will drive about 6 hours to Yuanyang. 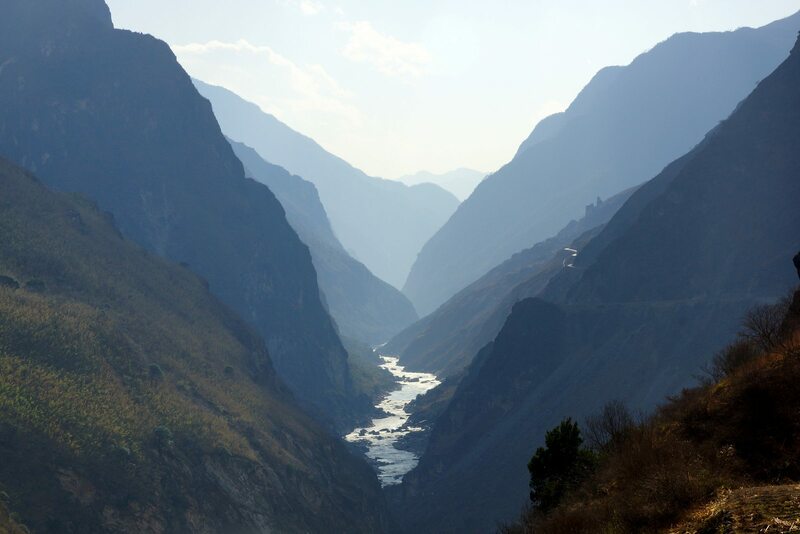 On the way, stop and visit the Yi and Hani Villages. Located near the Chinese and Vietnamese border and with Yuanjiang River flowing through, Yuanyang attracts more and more travelers for its remarkable terraced paddies and diverse ethnic culture. A time for photos will be arranged when the sun sets. In the morning, you’ll visit the Terraced Paddies and photograph the sun rising, the sea of clouds, and the rice terraced paddies. Then, after a 3 hour drive, arrive at Jianshui. Upon arrival, visit the Family Zhu’s Garden, a complex over 100 years old building with 42 courtyards. Today you’ll explore the old town of Jianshui. Visit Chaoyang Tower, which was built during the Ming dynasty, as well as Confucius Temple, the second largest Confucian temple in China. Afterwards, visit Family Zhang’s Garden. After breakfast, drive for 3.5 hours to Kunming. En route, stop and visit Zhengying Village, which possesses a group of old structures, and Xingmeng Village, where you can appreciate the local’s traditional dress. Transfer to the airport for your departure flight. Service ends.